Parents longing to afford what some consider the holy grail of infant sleepers -- which claims to calm fussy babies so they and their parents can sleep -- can now rent it from the company at a fraction of the price. (NEW YORK) — Parents longing to afford what some consider the holy grail of infant sleepers — which claims to calm fussy babies so they and their parents can sleep — can now rent it from the company at a fraction of the price. The SNOO, a smart baby bassinet that hit the market in 2016, is now available to rent for $4.90 per day — roughly $147 per month (with a minimum of one-month rental). The original purchase price is a hefty $1,300 compared to other bassinets, many of which can be purchased for $100 or less. The SNOO was designed by Los Angeles-based pediatrician Dr. Harvey Karp, based on a theory from his book The Happiest Baby on the Block about “the 5 S’s” for soothing babies: swaddle, side or stomach position, shush, swing and sucking a pacifier. The product promotes soothing with its womb-like rocking and white noise features. The SNOO automatically responds when a baby wakes up and reactivates sound and motion so they can be soothed back to sleep. In the SNOO, a baby is swaddled on his or her back and secured with snaps. This keeps the baby from rolling into risky positions, the company’s website claims. “Once babies start rolling and sitting, which happens between 4 and 6 months, bassinets are not safe anymore,” said Dr. Edith Bracho-Sanchez, a board-certified pediatrician and Global Health Fellow at Stanford. Parents have raved about the SNOO since its debut, including celebrity Ashton Kutcher, who reportedly brought it up on Dax Shepard’s Podcast, “Armchair Expert,” in 2018. “He was like a 6-hour sleeper and I’m eternally grateful to the SNOO for that,” Kutcher said of his son Dimitri, whom he shares with Mila Kunis. According to Happiest Baby, rental units are reconditioned before they’re sent out, which includes sanitizing and a safety check. According to Karp, SNOO did a survey with the parenting website BabyCenter, which indicated that sleep deprivation from babies crying is the number one stressor on new parents. “Besides being a great burden, it can lead to many serious problems: marital stress, postpartum depression, unsafe sleeping practices, obesity, car accidents, missed work, etc.,” Karp said. Ultimately, he is seeking to have the bassinet covered by insurance. 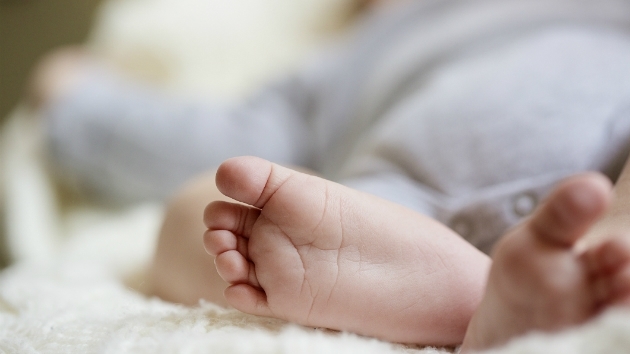 “We have many third-party university studies underway to demonstrate that we can reduce infant sleep death and postpartum depression,” Karp added. The status of those studies was not clear. “Ultimately, our goal is to have insurance companies subsidize this rental, so that parents across the country can have access to SNOO at a very low price (just as they now have access to breast pumps, which are subsidized by the government and insurance),” he said. Dr. Bracho-Sanchez said she urges parents to consider that some of the behaviors the SNOO tries to address are normal for newborns. Bracho-Sanchez also took issue with strapping babies down, as is done with the SNOO. But she applauded the SNOO for encouraging parents not to co-sleep with their infants. “I applaud any efforts to get parents to put their babies on their back to sleep and to avoid bed sharing, the SNOO included,” she added.